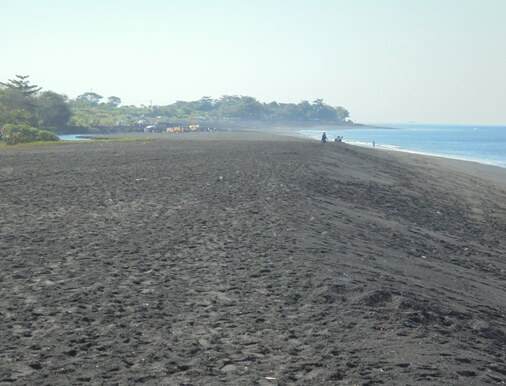 Sedayu Beach is a beautiful grayish black sandy beach, surrounded by vast rice fields, green vegetation and stunning blue water. This beach is endowed with a romantic sunset panorama. Visitors can also enjoy the scenery of the blue mountains of Bali and the island of Nusa Penida from a distance. 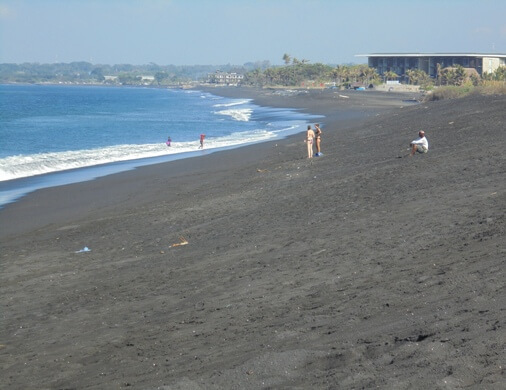 The beach is situated in Takmung Village, Banjarangkan District, Klungkung Regency, Bali. It's about 40 kilometers or an hour drive from the Ngurah Rai International Airport, via the Jl. Prof. Dr. Ida Bagus Mantra. You can reach it easily by car. The beach is on the southern side and just few minutes from the main road. There is a wide field near the beach, which is used as a parking lot for vehicles. This is a coastal village with panoramic view of lush rice fields. 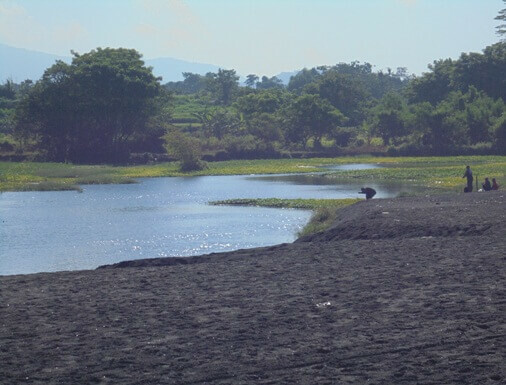 Sedayu Beach also serves as the estuary of the Yeh Jinah River, a beautiful and calm river estuary. In addition, this is also a spot to hold the Klungkung Kite Festival, an annual event as a tourism promotion. On the next side is a long arch of sand, stretch from Lepang Beach (west) up to Watu Klotok Beach (east). You can find some residents looking for "batu sikat" (colorful and beautiful pebbles). The beach and the estuary are a good fishing spot. Many anglers are seen waiting enthusiastically with fishing rods in their hands. This is a great spot for hanging out and also a fun weekend picnic. You can enjoy the panoramic seascape, the waves, and the cool sea breeze along the beach. The fine beach sand is often used by residents for sand therapy by immersing the foot into the sand. The beach needs more care and also arrangement, so visitors feel more comfortable. It is very hot during the day and there is no shade. It would be better to visit in the morning with nice sunrise or afternoon before the sunset. This is a steep sand beach, has big waves, no beach guard, not safe to soaking and swimming. If you bring children should only play in the sand and not in the water. Do not cross the swift stream of the river that goes directly to the sea. It is very dangerous, no joking! There is a strong rip current potential, some people have been reported to be victims and drowned in the sea.